TruePlus Pen Needles 32g 4mm 100/bx feature a silicone coated needle and thin wall allowing for a smooth injection experience. 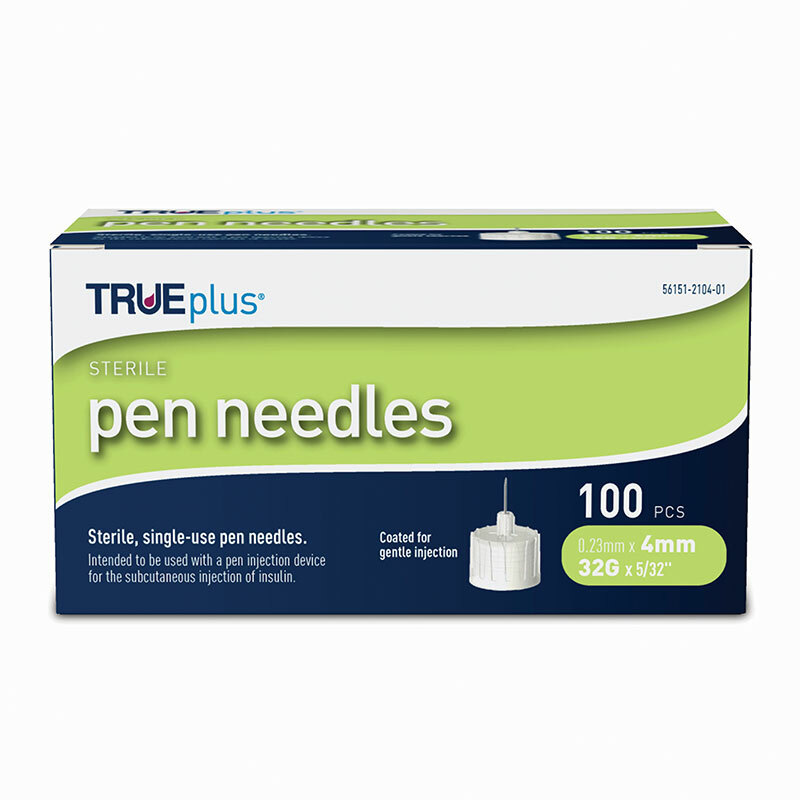 TruePlus pen needles are sterile and contain no burrs or surface imperfections. These pen needles offer a universal fit and work with most insulin pens. TRUEplus Pen Needles were designed for a more comfortable injection experience and features a clear cap with secondary color coded system so you know what size you are using. These silicone coated pen needles have no burrs or surface imperfections on the needle. The thin wall of the needle allows for smooth insulin flow and the safety cap can be used to avoid accidental injections. These pen needles fit most pens. I stopped using the expensive ones from my pharmacy. These are just as good and much cheaper. This is an excellent company and I will only purchase from them. These are just as good as other much more expensive ones I was using and I am glad I tried these. You should too if you want to save some money. Incredibly fast shipping! I am in the same state and I usually receive my orders the following business day. 100% recommend ADW and this product. I’m real pleased with the pen needles and the price is unbelievable, I will definitely order again. Always great price and quick shipping. The price is right, delivery is fast, the only thing is, that in almost each box, I have 3-4 needles, that are not working! Good product, excellent price. Delivered on time. Very happy with my purchase. Thanks. I like the TRUEplus pen needle due to hearing the soft snap when the needle is seated on the pen. One minor drawback is the needle protective cover is not snug enough on the needle cap on a few pen needles. They work great and the cost is much better than the pharmacy I use.